A sepia photo of the 7th grade at the Nason Street School in 1908. The teacher is Miss Sheridan of Lowell, Mass. 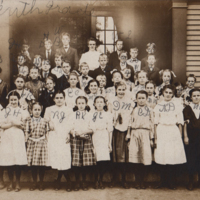 If you look closely at the picture you will see the initials of each student. Geo. 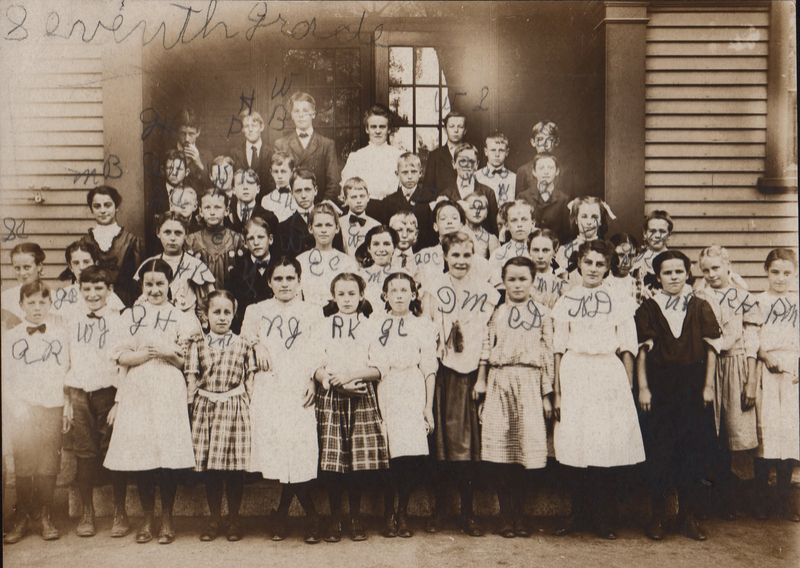 D. Elson, Maynard, Mass., “Nason Street School Grade 7 - 1908 ,” Maynard Historical Society Archives, accessed April 24, 2019, http://collection.maynardhistory.org/items/show/868.